I am just back from a week of land based rock and beach fishing at Woody Head, in the Bundjalong National Park, just north of the town of Iluka, in Northern New South Wales. As is often the case here, the weather made the fishing pretty tough. Heavy rain freshened the mighty Clarence River and big seas, wind and swells conspired to limit access to the best fishing platforms. But there were some good sessions and some good fish. To the north-west of the Woody Head rock platform there is a sheltered bay that remains calm in all but the biggest gales. On the afternoon of our second day, there was a light northerly breeze blowing and the tide was running in. There was a heavy swell crashing on the rocks to the south, but the bay was calm. It had been raining, on and off, all day and the water was murky and the sky, overcast. The birds were working furiously, diving into bait schools close to the shore. Just on dusk, I walked down to the beach with my heavy outfit – Daiwa 9’6’ Demon Blood rod, Shimano Stradic 6000 spinning reel loaded with 30lb braid and 30lb fluorocarbon leader. I tied on a 45g silver HALCO Twisty slug and cast it about 25 metres, towards the diving birds. After a couple of casts – bang – and line starts peeling. 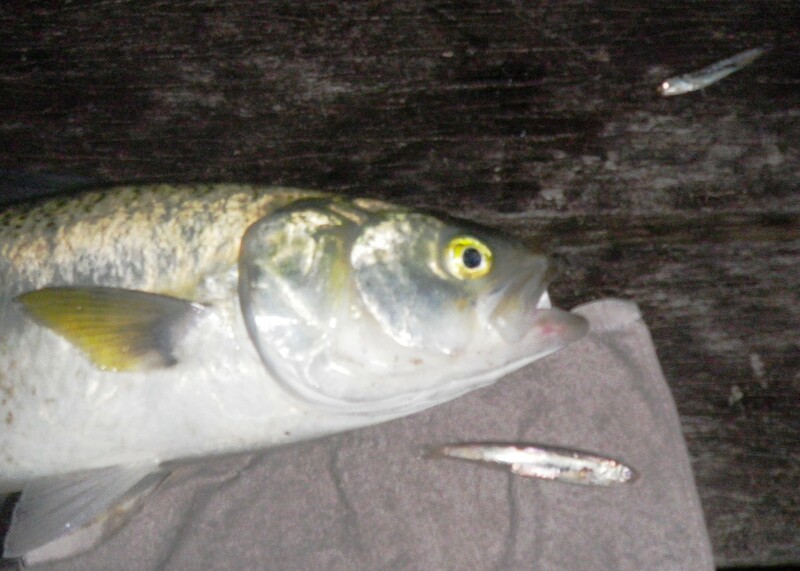 It was a solid fish and then it leapt clear of the water – an Australian Salmon. It did a couple of tail walks and even with the heavy rod, it was hard to subdue. I eventually got it to the beach and it immediately started spitting out mouthfuls small whitebait/anchovies (not actually sure which). This was clearly what had attracted the birds. It was now dark and raining so, after a few pictures, I released the fish and went to dry off. I have never been able to make these fish taste good, so I have given up keeping them for the table. It may not have been dinner but it was a great fish to open the account. This entry was posted in Fishing Reports, Iluka and tagged Australian Salmon, Daiwa Demon Blood, Halco Twisty, land based fishing at Woody Head, landangler. Bookmark the permalink.